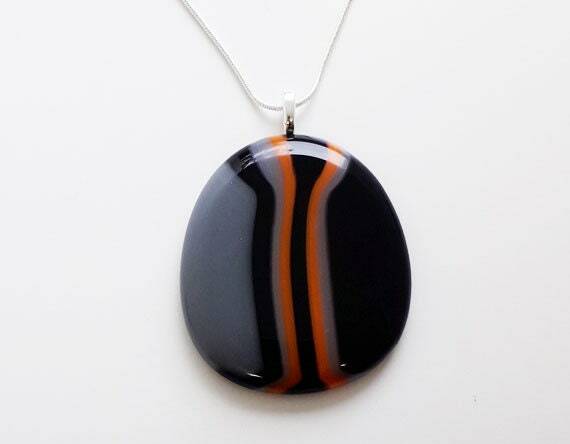 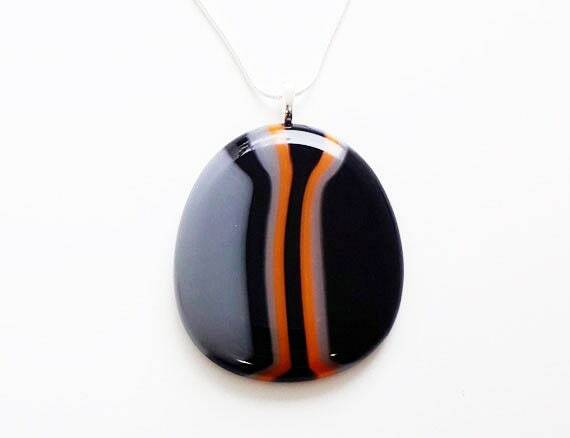 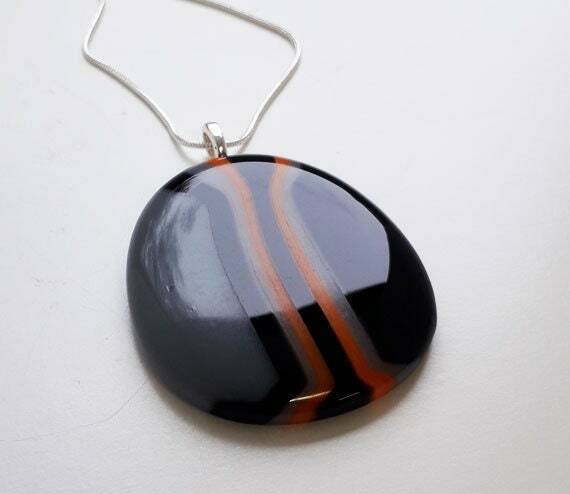 Fused glass pendant in black, grey and orange stripes. 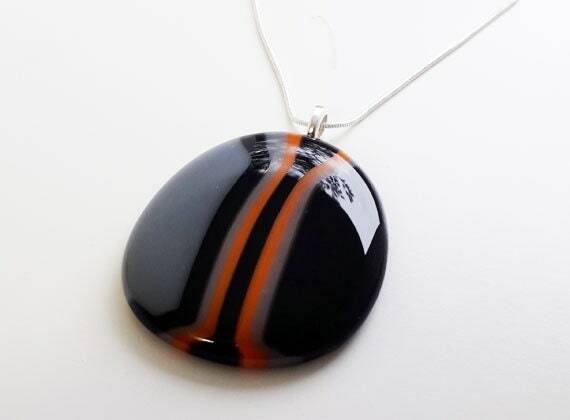 This is a wide egg shaped pendant, about 47 mm long and 43mm wide at its widest point, so it's fairly large without being too in your face huge. 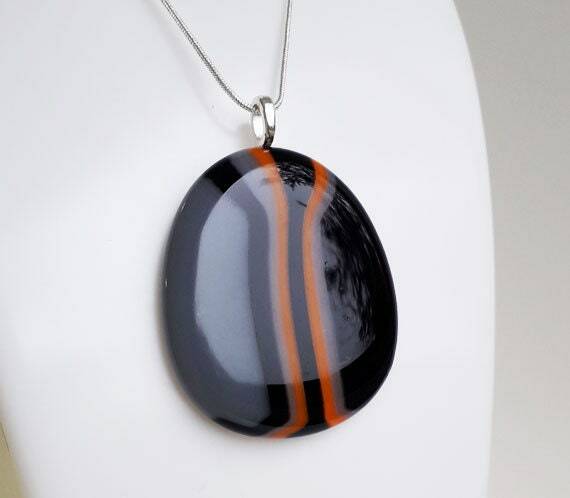 It's made from a mix of grey, black and orange opaque glass, and hangs on a silver leaf bail and an 18 inch silver snake chain.